Theatrical wine dinner was delicious! 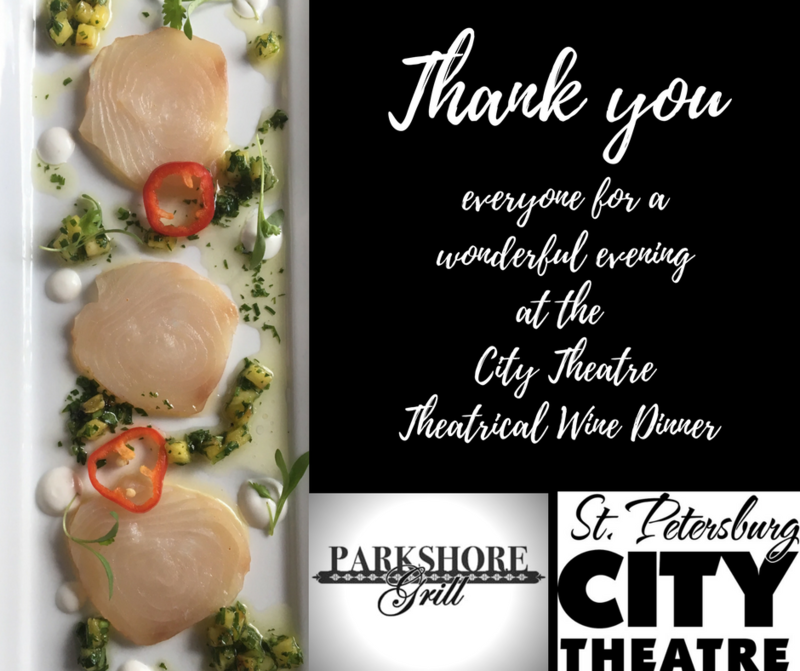 Thank you everyone who attended and supported our Theatrical Wine Dinner Parkshore Grill with Tyson & Sommer Grant, Chateau Ste. Michelle Winery & Antinori Wines. It was a delicious and fun evening with old and new friends of St Petersburg City Theatre! Next PostYou’re Invited to A Christmas Carol Fundraiser on Opening Night!